In August 1973, a group of six ladies approached the then Nunawading Council expressing interest in having tennis courts available for Vermont South residents. The Town Clerk, Ted Jane, recognised the need for community lifestyle facilities in the area and initiated a series of public meetings which resulted in the formation of a Steering Committee to establish the Club. This Committee was chaired by Chris Moule and included his wife Jenny Moule as Secretary, John Allan, Marlene Allan and Kevin Donovan. Over the next few years they held many planning meetings and lobbied the Council for support throughout the process. The initial site for the Club was to be Terrara Park but, after further consideration, the Council eventually settled on Charlesworth Park as the desired location. 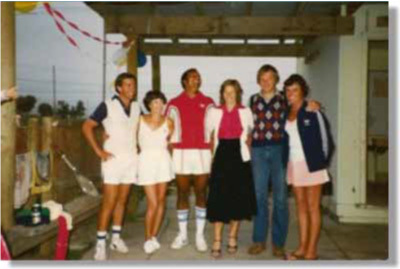 The Club was officially formed early in the year with Chris Moule installed as the inaugural Club President. Bank loans were secured, the type of court surface was determined and a membership recruitment campaign was conducted. 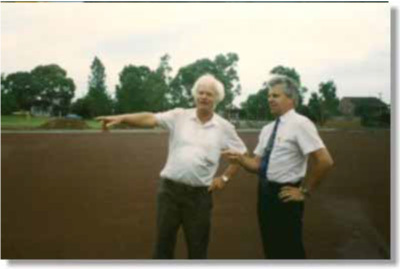 In August, five tennis courts were opened by the Mayor of Nunawading, Cr David McKittrick. A tin shed was used as our first clubhouse. The upper clubhouse was constructed. Two new tennis courts (6 & 7) were constructed. Floodlights were installed on ve tennis courts (1-5). A further two tennis courts (8 & 9) were constructed. The forward thinking Club Committee recognised a local need for bowling facilities and, without any prior experience or knowledge of bowls, set about constructing the necessary infrastructure. The major items were a synthetic bowling green and an additional clubhouse to accommodate the bowlers. A new Club Constitution was developed and appropriate committee hierarchies were also established. At the same time a massive recruitment drive was initiated that resulted in new members joining the Club specifically to play bowls. A huge proportion of these new members had never played bowls before. Indoor bowls was played while the new outdoor green was being built. With a growing bowls membership, our single green was not coping with the demand. 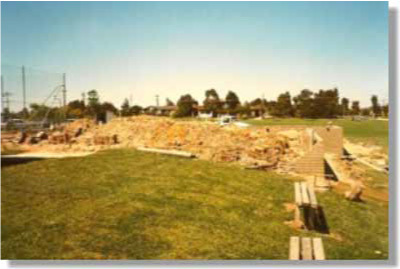 So to make way for a second bowling green, two of our tennis courts were demolished and additional land was secured from the Whitehorse Council. Allied with this, a complete redevelopment of the bowls clubhouse was also completed with the new facilities opened in August 2008 by the City Mayor. Major drainage works were done and two 75,000 litre water tanks were installed to collect rain water from both bowling greens and Clubhouse roofs. Powerful pumps allow this recycled water to be delivered via hoses or sprinklers to all tennis courts and both bowling greens.This system protects our valuable assets during periods of water restrictions. Drip watering system installed throughout garden beds. The kitchen area in the upper (tennis) clubhouse was renovated involving new bench/cupboards, appliances and tiled floor. The worn out surface of our original bowling green was replaced with another synthetic playing surface. At the same time extra work was done on the surrounds of the green to allow easier maintenance.